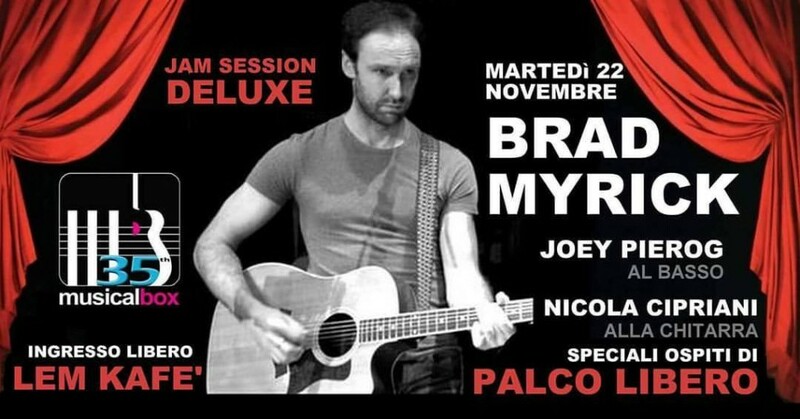 Nov 22, 2016: Brad Myrick is the featured artist at the Lem Kafe jam session in San Martino B.A. (VR), Italy. Joey Pierog will be on bass & Nicola Cipriani on guitar alongside the house band.